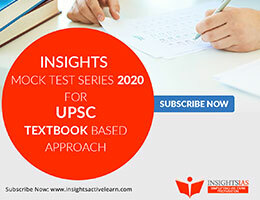 Following is the answer key for the recently conducted General Studies Paper – 1 (Set – C) of the UPSC civil services preliminary exam. 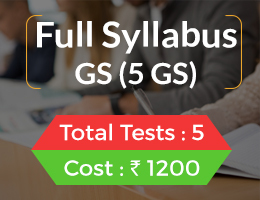 We have tried to provide best possible explanation for each question based on various authentic sources. Hope you find this exercise useful despite already checking your answers from various keys provided by many websites. 1) With reference to cabinet mission, which of the following statements is/are correct? • The Union Government and its legislature were to have limited powers, dealing with Finance, Foreign Affairs and Communications. The union would have powers necessary to raise the finances to manage the subjects. • All subjects other than the Union Subjects and all the residuary powers would be vested in the provinces. • Thus, the Cabinet Mission plan proposed a weak Centre with Provincial autonomy – essentially proposing a federal structure of government. 2) Which one of the following National Parks has a climate that varies from tropical to subtropical, temperate and arctic? There is some dispute about the answer. Some claim it to be A or B which are not correct. Both Khangchendzonga and Nandadevi National park do not have tropical vegetation. Namdapha National Park is the largest protected area in the Eastern Himalaya biodiversity hotspot and is located in Arunachal Pradesh in Northeast India. The area is also known for extensive Dipterocarp forests, comprising the northwestern parts of the ecoregion of Mizoram-Manipur-Kachin rain forests. The habitat changes with increasing altitude from tropical moist forests to Montane forests, temperate forests and at the higher elevations, to Alpine meadows and perennial snow. The park has extensive bamboo forests and secondary forests in addition to the primary forests. 4. With reference to art and archaeological history of India, which one among the following was made earliest? Lingaraja Temple at Bhubaneswar was created in 11th AD. Rock-cut Monuments at Mahabalipuram are 7th century AD creation. At Udayagiri, it is 5th century AD creation. Rock-cut Elephant at Dhauli was created during Ashoka’s reign (272-231 BC). This is the oldest among the four. 5. With reference to Indian history, which of the following is/are the essential elementary elements of the feudal system? The terms feudalism and feudal system were generally applied to the early and central Middle Ages—the period from the 5th century, when central political authority in the Western empire disappeared, to the 12th century, when kingdoms began to emerge as effective centralized units of government (the period is claimed as 9th-15th century by Wikipedia). Broadly defined, it was a way of structuring society around relationships derived from the holding of land in exchange for service or labour (lord-vassal relationship). Use of the term feudalism to describe India applies a concept of medieval European origin, according to which the landed nobility held lands from the Crown in exchange for military service, and vassals were in turn tenants of the nobles, while the peasants (villeins or serfs) were obliged to live on their lord’s land and give him homage, labor, and a share of the produce, notionally in exchange for military protection. The term Indian feudalism is an attempt to classify Indian history according to a European model. Feudalism, in its various forms, usually emerged as a result of the decentralization of an empire: especially in the Carolingian empires which both lacked the bureaucratic infrastructure necessary to support cavalry without the ability to allocate land to these mounted troops. The BioCarbon Fund Initiative for Sustainable Forest Landscapes (ISFL) is a multilateral fund, supported by donor governments and managed by the World Bank. It seeks to promote reduced greenhouse gas emissions from the land sector, from deforestation and forest degradation in developing countries (REDD+), and from sustainable agriculture, as well as smarter land-use planning, policies and practices. 7. India is a member of which of the following? 2. Association of South-East Asian Nations. India is a member of East Asia Summit. India is a member of ASEAN+6, not ASEAN. Saltpetre (Potassium nitrate) is not used in the production of steel. It is instead used in fertilizers, tree stump removal, rocket propellants and fireworks. It is one of the major constituents of gunpowder (blackpowder) and has been used since the Middle Ages as a food preservative. India definitely imports coking coal. So, the answer has to be C.
It requires 0.8 tonnes coking coal to produce one tonne of steel. The government had recently imposed a 2.5 per cent duty on coking coal import. 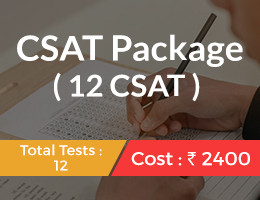 Option C is incorrect because it excludes the fifth and sixth schedule areas from the application of the Panchayati Raj system. This is to ensure that the local tribal practices, customs, religious laws, social and political institutions are not tampered with. 10. With reference to the Union Government consider the following statements. without the authorization of Parliament of India. The constitution establishes three types of funds – Consolidated Fund of India; Public Account; Contingency Fund. Prior authorization is required for withdrawing from Consolidated Fund of India. For Contingency fund of India, withdrawal can be authorized by the Parliament afterwards too. For Public Account, no such authorization is needed. Assessing the revenues from different central taxes is the primary function of the Department of Revenue and the expenditure estimates for the current and the next year for various expenditure heads are assessed by the Department of Expenditure. The Department of Expenditure also assesses the resources of the public sector undertakings (PSUs). There is a dispute whether answer should be D or A. On the other hand, Supreme Court judges take the oath to “UPHOLD the constitution” and the laws. Hence, it is the Guardian of the constitution of India. The two terminologies – Custodian and Guardian – are different and the nuances should be understood. Supreme Court is not in charge of the constitution of India. Only the highest office holder of India is eligible to keep the constitution in his custody. 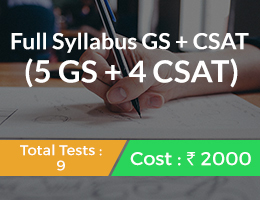 We believe that UPSC might go with Option A as it seems logical as per the President’s Oath. It is the apex body to accord notified under Rules 1989, for approval of activities involving large scale use of hazardous microorganisms and recom¬binants in research and industrial production from the environ¬mental angle. The GEAC is also responsible for ap¬proval of proposals relating to release of genetically engineered organisms and products into the environment, including experimen¬tal field trials (Biosafety Research Level trial-I and II known as BRL-I and BRL-II). The Mekong–Ganga Cooperation (MGC) was established on November 10, 2000 at Vientiane at the First MGC Ministerial Meeting. It comprises six member countries, namely India, Thailand, Myanmar, Cambodia, Laos and Vietnam. They emphasised four areas of cooperation, which are tourism, culture, education, and transportation linkage in order to be solid foundation for future trade and investment cooperation in the region. Basel III (or the Third Basel Accord) is a global, voluntary regulatory framework on bank capital adequacy, stress testing and market liquidity risk. It was agreed upon by the members of the Basel Committee on Banking Supervision in 2010–11, and was scheduled to be introduced from 2013 until 2015. 1. The winds which blow between 30 degrees N and 60 degrees S latitudes throughout the year are known as westerlies. 2. The moist air masses that cause winter rams in North-Western region of India are part of westerlies. Westerlies flow between latitudes 30-60 degrees North and 30-60 degrees South. The statement mentions 30N-60S. So it is wrong. The organization was first established as Indian Ocean Rim Initiative in Mauritius on March 1995 and formally launched on 6–7 March 1997. It is an international organization consisting of coastal states bordering the Indian Ocean. 18. Which one of the following movements has contributed to a split in the Indian National Congress resulting in emergence of ‘moderates’ and ‘extremists’? 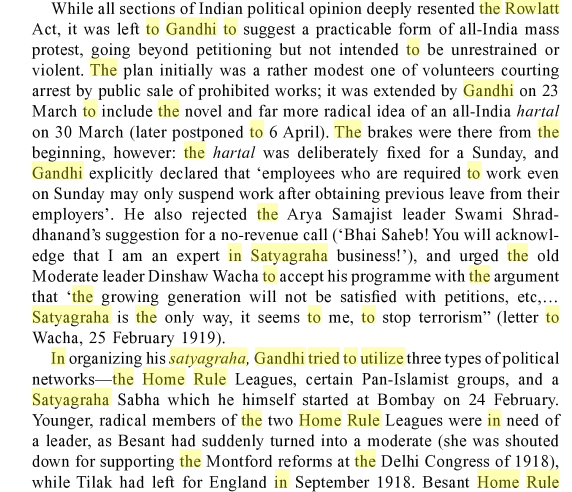 Answer cannot be B, C or D, because moderates and extremists re-united in the Lucknow session, 1916 which was before Non-cooperation/Quit India/Civil Disobedience Movements. 20. Tides occur in oceans and seas due to which of the following? For telecommunications geo-stationary satellites are used. Hence, you can easily eliminate statement 4, which then also eliminates statement 5 (because both occur together). Under remote sensing, Hyperspectral imaging produces an image where each pixel has full spectral information with imaging narrow spectral bands over a contiguous spectral range. Hyperspectral imagers are used in various applications including mineralogy, biology, defence, and environmental measurements. So, the only possible answer can be A. In which of the following states do “Tropical Wet Evergreen Forests” occur? These are typical rain forests which grow in those areas where the annual rainfall exceeds 250 cm, the annual temperature is about 25°-27°C the average annual humidity exceeds 77 per cent and the dry season is distinctly short. The true evergreen forests are found along the western side of the Western Ghats (between 500 to 1370 metres above sea level) south of Mumbai, in a strip running from northeast to south-west direction across Arunachal Pradesh, Upper Assam, Nagaland, Manipur, Mizoram and Tripura upto a height of 1070 metres and in the Andaman and Nicobar Islands. 23. The term ‘IndARC’ sometimes seen in the news, is the name of? The interaction between the Arctic ice shelf and the deep sea and its influence on climate shift requires detailed studies over an annual seasonal cycle. Therefore, IndARC, the India’s first underwater moored observatory, has been deployed in the Kongsfjorden fjord, half way between Norway and the North Pole. It will collect real- time data on seawater temperature, salinity, ocean currents and other vital parameters of the fjord. 3. It assists the countries in their ‘REDD+ (Reducing Emission from Deforestation and Forest Degradation+)’ efforts by providing them with financial and technical assistance. Option B was framed to deviate you from the right answer. The facility has been formed under REDD+. Go to the link to read the four objectives of FCPF. This is implemented at country level, not al universities or individual levels. This question was from UPSC Prelims GS-I paper, 2014. BirdLife international is a global partnership of conservation organisations that strives to conserve birds, their habitats and global biodiversity, working with people towards sustainability in the use of natural resources. It is the World’s largest partnership of conservation organisations, with over 120 partner organizations 120 partner organizations. Together the BirdLife Partnership forms the leading authority on the status of birds, their habitats and the issues and problems affecting bird life. BirdLife’s Important Bird and Biodiversity Area (IBA) Programme aims to identify, monitor and protect a global network of IBAs for the conservation of the world’s birds and other wildlife. Tropical moist deciduous forests exist mostly in the eastern part of the country – northeastern states, along the foothills of the Himalayas, Jharkhand, West Orissa and Chhattisgarh, and on the eastern slopes of the Western Ghats. a) a strategy to tackle the regional terrorism, an outcome of a meeting of the Shanghai Cooperation Organization. The Platform for Action is an agenda for women’s empowerment. It aims at accelerating the implementation of the Nairobi Forward-looking Strategies for the Advancement of Women and at removing all the obstacles to women’s active participation in all spheres of public and private life through a full and equal share in economic, social, cultural and political decision-making. Equatorial climate is characterized by consistently high temperatures (around 30 °C), with plentiful precipitation (150–1,000 cm), heavy cloud cover, and high humidity, with very little annual temperature variation. Wet equatorial regions lie within about 12° latitude of the Equator. Due to recession in 2008, the growth rate of the Indian economy had declined for the next few years from 8-9% to 5-6%. So, statement 1 is wrong. Even though the growth rate declined, it never became negative. So, the GDP at market prices has always increased year on year since last one decade. The maximum strength of the council is fixed at one-third of the total strength of the assembly and the minimum strength is fixed at 40 (with some exceptions). The Chairman of the Legislative Council is elected by the council itself from amongst its members. c) A community of organisms together with the environment in which they live. d) The flora and fauna of a geographical area. An ecosystem is a community of living organisms in conjunction with the non-living components of their environment, interacting as a system. These biotic and abiotic components are regarded as linked together through nutrient cycles and energy flows. There is some dispute about the answers. Some claim the answer to be A, some C and some D.
We accept that there is some subjectivity inherent in the options. However, the question can be solved on objective basis. Statement 4 is INCORRECT because financial mobilization was never the basis for the establishment of panchayati raj. Local financial mobilization (by way of octroi taxes etc. ) is the outcome of the establishment of the PRIs, not its objective. In fact, only few states have devolved financial powers to their PRIs. • Political accountability can be ensured in any system which is democratic/rule-based, it need not necessarily be via a local body. • Grass-roots democracy was established in India not to ensure any political accountability, but to ensure citizen’s participation in governance leading to democratic decentralization. So, the term “democratic decentralization” is an appropriate replacement for the term “political accountability”. • Moreover, political accountability already existed in the villages by way of elections to State legislatures. What has happened after 1993 is that it has only become easier to hold the representatives accountable. It is always easier to approach someone next door (ward councilor) than next district (MP or MLA/MLC). In Karnataka, elections to Grama Panchayats are held on apolitical basis i.e. members are not elected from political party tickets. Public debt and Public revenue are matters falling under Fiscal policy. The Ministry of Finance handles these subjects. Bank rate and OMOs fall within the jurisdiction of RBI’s monetary policy. Decreased money circulation leads to lesser money in hands of people to spend. Hence, lower demand (given the same supply) leads to falling prices fall and reduced inflation. The treaty recognizes five states as nuclear-weapon states: the United States, Russia, the United Kingdom, France, and China (also the five permanent members of the United Nations Security Council). Four other states are known or believed to possess nuclear weapons: India, Pakistan and North Korea have openly tested and declared that they possess nuclear weapons, while Israel has had a policy of opacity regarding its nuclear weapons program. 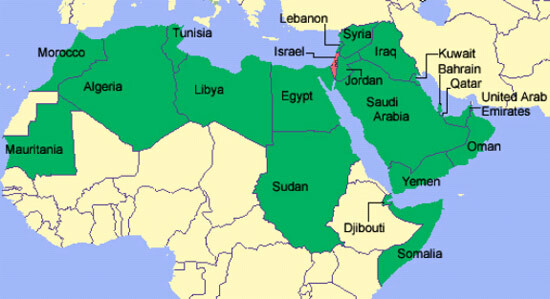 So, you can conclude that Israel can never be a part of the answer which directly points out to option A as the answer. DPSP thus promotes the ideal of a welfare state as it guides the state in making policies for the socio-economic well being of the people of India. Preamble, option A, will NOT be the answer because it simply lists the socio-economic objectives of Indian society. It does not tell us who will design or execute policies based on the objectives. “Capital” in an economic context means machinery or capital goods which can be employed to produce other goods. Substitution of steel can be considered as the substitution of a lesser machine by a better machine. This encourages steel production. Hence it is a capital-augmenting technological progress. Influenza A (H1N1) virus is the most common cause of human influenza (flu). In June 2009, the World Health Organization (WHO) declared the new strain of swine-origin H1N1 as a pandemic. This strain is often called swine flu by the public media. 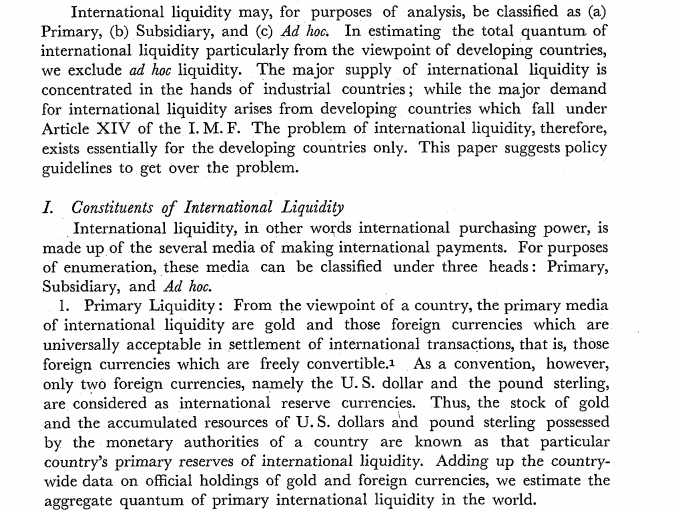 The concept of international liquidity is associated with international payments. These payments arise out of international trade in goods and services and also in connection with capital movements between one country and another. International liquidity refers to the generally accepted official means of settling imbalances in international payments which is basically dollars and hard currencies. One great appeal of fuel cells is that they generate electricity with very little pollution–much of the hydrogen and oxygen used in generating electricity ultimately combines to form a harmless byproduct, namely water alongwith releasing heat. A single fuel cell generates a tiny amount of direct current (DC) electricity. In practice, many fuel cells are usually assembled into a stack. If alternating current (AC) is needed, the DC output of the fuel cell must be routed through a conversion device called an inverter. Kalamkari painting is a type of Indian folk textile art that involves free hand drawing and painting or printing on cloth, mostly cotton. Derived from the Persian language meaning ‘drawing or crafting with pen’, Kalamkari is an ancient form of painting that developed in India over a period of 3,000 years. 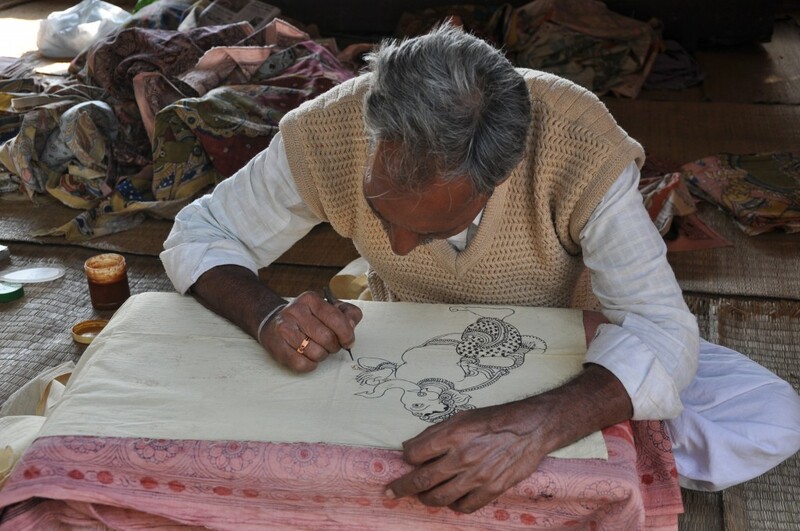 Kalahasti and Machilipatnam in Andhra Pradesh, the nerve centres of this art continue to be beehives of Kalamkari activity. Introducing new welfare scheme will further inflate the budget. Expanding industries by budgetary support will not add anything in the short-run to the tax revenues of the government, and thus will increase the budget deficit. Rationalizing subsidies and reducing revenue expenditure are two direct ways of reducing the fiscal burden of the government of India. 49. Which of the following has/have been accorded ‘Geographical Indication’ status? IREDA has been awarded “Mini Ratna” (Category -I) status in 2015 by Ministry of New and Renewable Energy (MNRE). IREDA is a Public Limited Government Company established as a Non-Banking Financial Institution in 1987 under the administrative control of MNRE to promote, develop and extend financial assistance for renewable energy and energy efficiency /conservation projects with the motto: “ENERGY FOR EVER”. The commission has recommended states’ share in net proceeds of tax revenues be 42 per cent, a huge jump from the 32 per cent recommend by the 13th Finance Commission, the largest change ever in the percentage of devolution. As compared to total devolutions in 2014-15, total devolution of states in 2015-16 will increase by over 45 per cent. No sector specific grant recommendations were made. Please read the link below for detailed recommendations. There is some dispute about the correct answer. As per some websites, second statement should be correct. But, here is a catch. About Statement 1: Slowing economic growth rates may result in lower tax collection. But whether the fall in tax collection is proportionate to the fall in GDP cannot be known without knowing the on-ground statistics. It depends on the structural characteristics of the economy. So, slowing economic growth rates does not necessarily mean decrease in tax-GDP ratio. About Statement 2: Change in collection of taxes with the change in GDP shows the tax buoyancy. Tax buoyancy can be affected by a number of reasons including tax evasion, tax avoidance, less efficient methods of tax collection etc. These are the short-term reasons which affect the tax collection. Long term reasons are structural reasons. Distribution of income is one such factor. Generally, less/greater equitable distribution of national income happens over a long period of time. If the distribution of national income is not equitable, it may mean a perennial LOW TAX-GDP ratio, but not a DECREASE in TAX-GDP ratio over the years. A decrease in tax-GDP ratio is a short-term phenomenon. It happens for reasons mentioned above. 55. In the South Atlantic and South Eastern Pacific regions in tropical latitudes, cyclone does not originate. What is the reason? Option C is wrong. Coriolis force is weak only in the region around 0-5 degrees North or South latitudes. Option B is also wrong. ITCZ formation is not essential to the formation of cyclones. Cyclones are formed in regions where ITCZ does not form, for e.g. in North Atlantic. Option D is absurd as absence of land boosts cyclones. Presence of land cuts off moisture from the cyclone. So, the most appropriate answer should be A. For cyclone formation, a sea temperature of at least 26 degree Celsius is needed. In the South-eastern pacific and South Atlantic region cold currents are found. This leads to lower sea temperatures. Hence, cyclones don’t form there. 56. 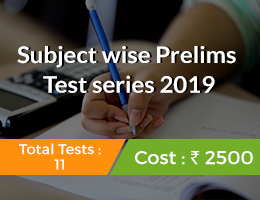 Which of the following pairs of States of India indicates the easternmost and Westernmost State? Standard NCERT question! In the diagram, west of the line falls in Gujarat, while the east falls in Arunachal Pradesh. Socio-economic democracy is spelt out because it provides for the idea of a welfare state. For e.g. consider Article 39 (b) and (c) which provide for minimizing inequalities in income and wealth; and ensuring that the wealth is not concentrated in the hands of few. While other article provide for the health of children, rights of working women etc. 58. In the Index of Eight Core Industries, which one of the following is given the highest weight? Electricity has 10.32% weightage; steel 4.9%; coal 4.38%; fertilizers 1.25%. It is the only floating park in the world, located in Manipur, North East India, and an integral part of Loktak Lake. The national park is characterized by many floating decomposed plant materials locally called phumdis. The park is a swamp established by Mann Sharma with floating mass of vegetation (created by accrual of organic garbage and biomass with soil particles that has been thickened into a solid form called phumdis, at the south–eastern side of the Loktak Lake, which has been declared a Ramsar site. Two third’s to three fourth’s of the total park area is formed by phumdis. 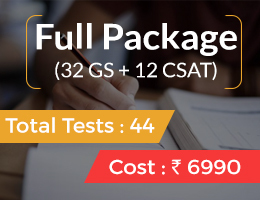 National Innovation Foundation – India (NIF) is an autonomous body under the Department of Science and Technology (India), Government of India. It was set up in February 2000 at Ahmedabad, Gujarat, India to provide institutional support for scouting, spawning, sustaining and scaling up the grassroots innovations across the country. NIF conducts a biennial national competition for grassroots green technologies (not highly advanced) developed by farmers, mechanics, artisans and others through their own genius without any recourse to professional help. NIF validates these innovations with the help of experts, and, ascertains the novelty in these innovations by doing prior art search. If the innovation is deemed novel, NIF files a patent on behalf of the innovator. NIF also funds value addition initiatives in these innovations to upscale them and make them more useful for a larger segment of people. 61. What can be the impact of excessive/inappropriate use of nitrogenous fertilizers in agriculture? Statement 1 is absurd. Increasing the amount of nitrogen based fertilizer does not lead to more micro-organisms in the field. If it did, just one dose of fertilizer would make a farm nitrogen rich for years together. Statement 2: Excessive use of nitrogen fertilizers resulting in soil acidity is a well-known fact. Statement 3: Nitorgen fertilizers break down into nitrates and travel easily through the soil. Because it is water-soluble and can remain in groundwater for decades, the addition of more nitrogen over the years has an accumulative effect. CITES was drafted as a result of a resolution adopted in 1963 at a meeting of members of the International Union for Conservation of Nature (IUCN). 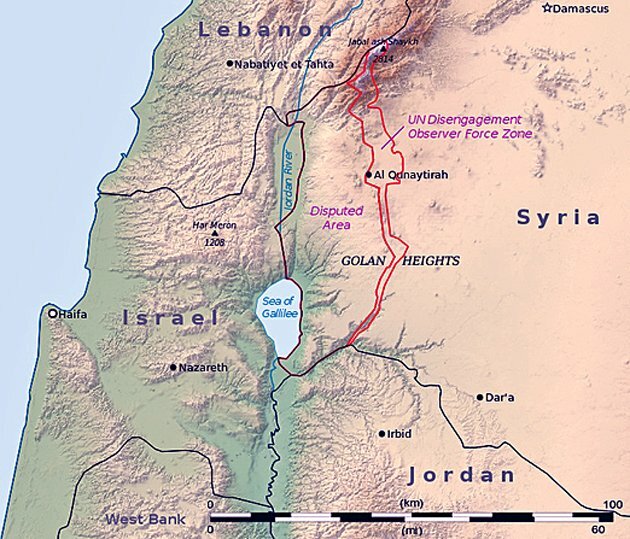 States (countries) adhere voluntarily to the agreement. States that have agreed to be bound by the Convention (‘joined’ CITES) are known as Parties. Although CITES is legally binding on the Parties – in other words they have to implement the Convention – it does not take the place of national laws. Rather it provides a framework to be respected by each Party, which has to adopt its own domestic legislation to ensure that CITES is implemented at the national level. The equatorial countercurrents are driven by a distinct surface wind pattern in the tropics. Strong westward trade winds result in westward surface flow in most of the tropical Atlantic and Pacific Oceans. However, several hundred mi. (km.) north of the equator the winds are much weaker, in comparison. The stronger winds to the south pile up water where the winds are weak. As a result, the surface of the ocean can be up to 6 in. (15 cm.) higher and the thermocline (region of strongest decrease of temperature with increasing depth) as much as 328 ft. (100 m.) deeper than it is directly to the north. The excess water flows eastward under the influence of the Earth’s rotation, giving rise to the equatorial countercurrents. The town (as well as the mandal) of Srisailam is reputed for the shrine of Lord Mallikarjuna on the flat top of Nallamala Hills. The Mahadeo Hills are a range of hills in Madhya Pradesh state of central India. But, Pushkar lies in Ajmer, Rajasthan. 67. 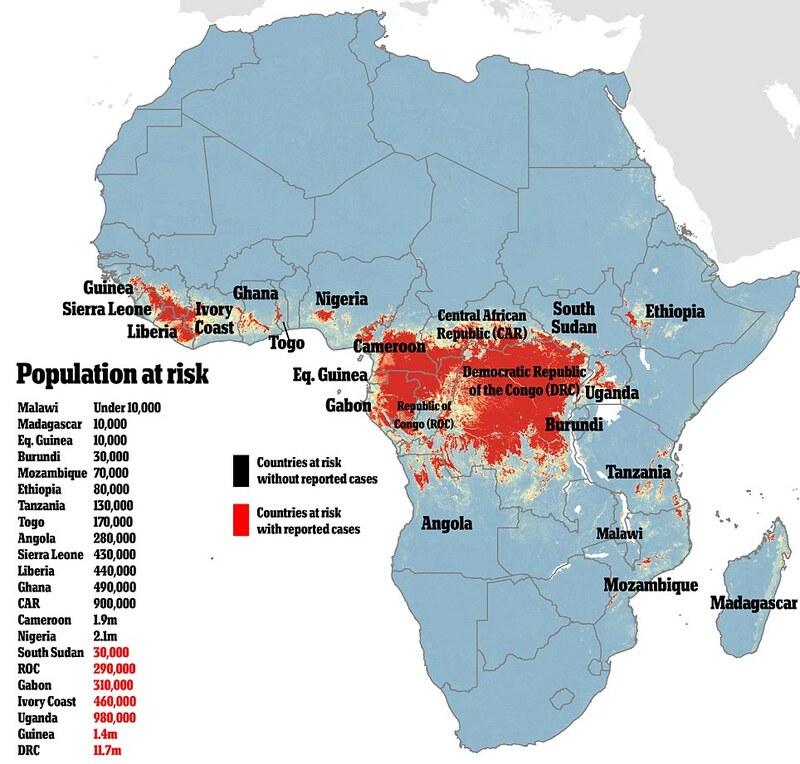 Among the following which were frequently mentioned in the news for the outbreak of Ebola virus recently? 68. With reference to ‘fly ash’ produced by the power plants using the coal as fuel, which of the following statements is/are correct? Fly ash from coal-fired thermal power stations is an excellent potential raw material for the manufacture of construction material like blended cement, fly ash bricks, mosaic tiles and hollow blocks. It also has other, high volume applications and can be used for paving roads, building embankments, and mine fills. Fly ash contains trace concentrations of heavy metals and other substances that are known to be detrimental to health in sufficient quantities. Potentially toxic trace elements in coal include arsenic, beryllium, cadmium, barium, chromium, copper, lead, mercury, molybdenum, nickel, radium, selenium, thorium, uranium, vanadium, and zinc. 3. It is given legal protection under Schedule 1 of the Wildlife (Protection) Act, 1972. 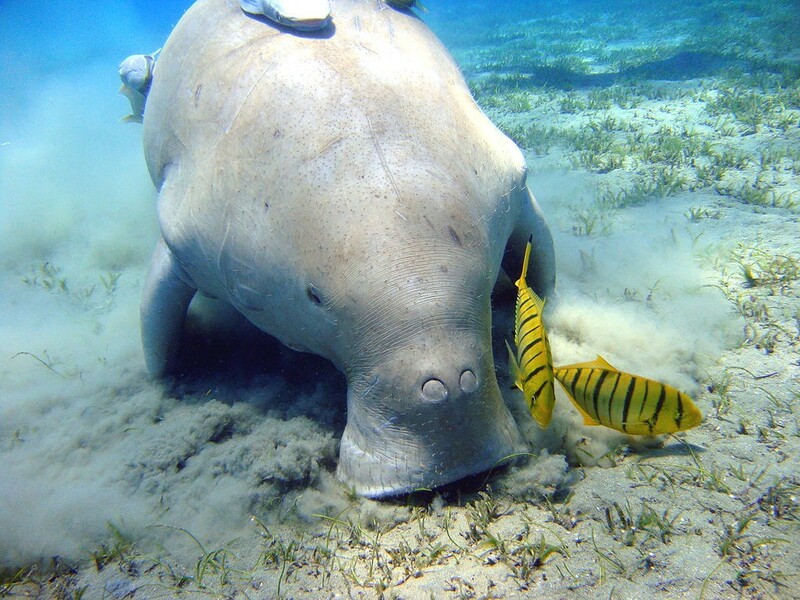 The dugong is the only living representative of the once-diverse family Dugongidae; its closest modern relative, Steller’s sea cow (Hydrodamalis gigas), was hunted to extinction in the 18th century. The dugong is the only strictly marine herbivorous mammal, as all species of manatee use fresh water to some degree. In India, it is found off the Gujarat Coast (Gulf of Kutch), Tamil Nadu coast (Gulf of Mannar), Palk Bay and Andaman and Nicobar Islands. The drain theory was established by Dadabhai Naoroji. 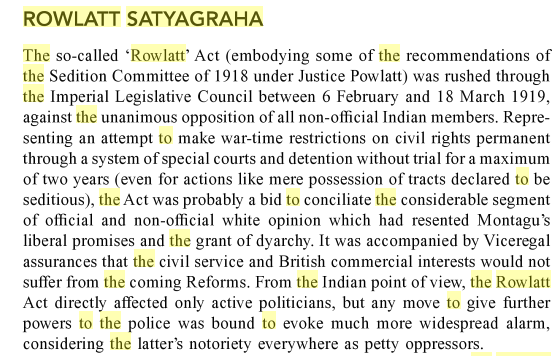 Increased poverty and lower wages were among the indirect products of colonial rule according to Dutt. 71. Which one of the following issues the “Global Economic Prospects” report periodically? 72. When the Reserve Bank of India reduces the Statutory Liquidity by 50 basis points, which of the following is likely to happen? d) It may drastically reduce the liquidity to the banking system. If SLR is reduced, banks have to park lesser money with RBI in form of securities, cash etc. So, they have more money to lend and the return on lending is also greater than what they get in SLR. Hence, the scheduled commercial banks may cut their lending rates. 73. With reference to the use of nanotechnology in health sector, which of the following statements is/are correct? In gene therapy using non-viral systems, the main issues are relatively transient gene expression and lower efficiency than viral vectors. Research efforts have focused on understanding the barriers in gene delivery so that non-viral systems can be developed that are as effective as viral systems in gene transfection. Agricultural Markets in most parts of the Country are established and regulated under the State APMC Acts. The whole geographical area in the State is divided and declared as a market area wherein the markets are managed by the Market Committees constituted by the State Governments. Once a particular area is declared a market area and falls under the jurisdiction of a Market Committee, no person or agency is allowed freely to carry on wholesale marketing activities. 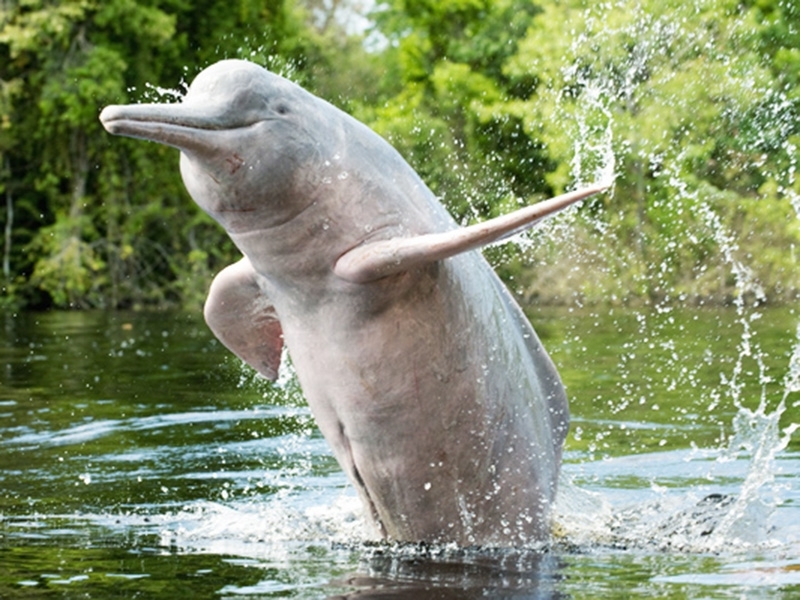 River Dolphin is the National Aquatic Animal of India. This mammal is also said to represent the purity of the holy Ganga as it can only survive in pure and fresh water. They are locally known as susu, because of the noise it makes while breathing. This species inhabits parts of the Ganges, Meghna and Brahmaputra rivers in India, Nepal, Bhutan and Bangladesh, and the Karnaphuli River in Bangladesh. The CSP advocated decentralized socialism in which co-operatives, trade unions, independent farmers, and local authorities would hold a substantial share of the economic power. As secularists, they hoped to transcend communal divisions through class solidarity. Some, such as Narendra Deva or Basawon Singh (Sinha), advocated a democratic socialism distinct from both Marxism and reformist social democracy. Only the Lok Sabha can vote on the demand for grants. Rajya Sabha can only keep a money bill for not more than 14 days, before which the bill should be either returned to Lok Sabha with recommendations, or passed by the Rajya Sabha. In case of a disagreement between both the houses, the bill is deemed passed in the form it was passed by Lok Sabha. Every year the budget (annual financial statement as mentioned in the constitution) is discussed by the Rajya Sabha. 79. Which of the following brings out the ‘Consumer Price Index Number for the Industrial Workers’? The CPI-IW series on scientific lines was first introduced with base 1960=100 which was based on the results of Family Living Survey conducted in 1958-59 at 50 industrially important centres. The series was then, updated on base 1982=100 and a revision in 1999-2000 has further updated the base on 2001=100. The current series of CPI-IW with base year 2001=100 covers 78 industrially important centers spread across the country. It reflects the consumption pattern of the working class population. 82. With reference to ‘Near Field Communication (NFC) Technology’, which of the following statements is/are correct? Non-convertibility can generally be defined with reference to transaction for which foreign exchange cannot be legally purchased (e.g. import of consumer goods etc), or transactions which are controlled and approved on a case by case basis (like regulated imports etc). A move towards free convertibility implies a reduction in the number / volume of the above types of transaction. The ninth century saw the rise of a number of hill states in the Himalayas, some of which maintained their identity until recent years, despite their wars with each other and the frequent raids from the men of the plains. States such as Champaka (Chamba – Himachal Pradesh), Durgara (Jammu), Trigarta (jalandhar), Kuluta (Kulu – Himachal pradesh), Kumaon and Garhwal managed to remain outside the main areas of conflict in the northern plains. Such a sitting is summoned by the President to settle a deadlock between the two Houses on a bill. The bill is passed by a simple majority i.e. majority of the number of members present and voting. 89. Which of the following kingdoms were associated with the life of Buddha? Magadha, Kosala, Vaishali, Vajji etc were the kingdoms and regions that the wandering Buddha covered relentlessly. Jetavana (Jeta garden) was perhaps the best known amongst the beautiful gardens provided to Buddha’s entourage and it was close to Sravasthi, capital of the Kosala kingdom. Perhaps the second-most important monastic resort of Buddha was the “bamboo grove” in Rajgriha, capital of Magadha, provided by king Bimbisara. Source: The question was a repeat from the year 2014. 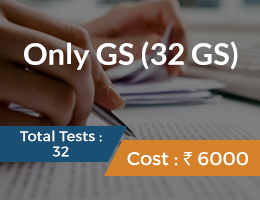 The solution is as per UPSC Official answer key of 2014 GS Prelims. Bretton Woods conference relates to IMF and World Bank. Kyoto Protocol is about cutting emissions of greenhouse gases. Nagoya protocol is about benefit sharing from the gains by genetic resources. Statement 1: Chinese gunpowder technology is believed to have arrived in India by the mid-14th century, but could have been introduced much earlier by the Mongols, who had conquered both China and some borderlands of India, perhaps as early as the mid-13th century. The unification of a large single Mongol Empire resulted in the free transmission of previously top-secret Chinese technology into Mongol conquered parts of India. Regardless, it is believed that the Mongols used Chinese gunpowder weapons during their invasions of India. If statement 1 is wrong, the only possible option is B. The United Nations Conference on Sustainable Development (UNCSD), also known as Rio 2012, Rio+20, or Earth Summit 2012 was the third international conference on sustainable development aimed at reconciling the economic and environmental goals of the global community. Hosted by Brazil in Rio de Janeiro from 13 to 22 June 2012, Rio+20 was a 20-year follow-up to the 1992 Earth Summit / United Nations Conference on Environment and Development (UNCED). In astronomy and astrobiology, the circumstellar habitable zone (CHZ), or simply the habitable zone (Goldilocks Zone), is the region around a star within which planetary-mass objects with sufficient atmospheric pressure can support liquid water at their surfaces. He was arrested in April 1930 for leading a salt march from Trichinopoly to Vedaranniyam on the Tanjore coast. He was the founder of Vijayanagar Empire. His initial military exploits established his control over the valley of Tungabhadra River (a tributary of Krishna), and gradually he expanded his control to certain regions of Konkan and Malabar Coast. By that time Hoysalas had lost its last ruler Veera Ballala III who died fighting the Sultan of Madurai, and the vacuum so created facilitated Harihara I to emerge as a sovereign power. The entire Hoysala territories came under his rule directly. First woman President of INC was Annie Besant. First male President was W.C. Banerjee. First Muslim male President was Badruddin Tyabji. The Green Climate Fund was designated as an operating entity of the financial mechanism of the UNFCCC, in accordance with Article 11 of the Convention. Arrangements will be concluded between the Conference of the Parties (COP) and the Fund to ensure that it is accountable to, and functions under the guidance of, the COP. 100. Indira Gandhi Peace Prize for Peace, Disarmament and Development for 2014 was given to which of the following? The prize carries a cash award of 2.5 million Indian rupees and a citation. The recipients are chosen from a pool of national and international nominees. Angel Merkel (2013) and ISRO (2014) were the recipients of the award. Next story 1) What do you understand by Life Expectancy? Based on recent data, analyse life expectancy trends for men and women in India.